Recover Lost or Deleted Photos, Videos, Contacts, Whatsapp, SMS and Other Files From Android Smarphones & Tablets! World’s 1st and No. 1 Data Recovery Software For Android Phones and Tablets! Restore erased, missing, lost or deleted multimedia files such as images (jpeg/jpg, png, gif, etc) videos (mp4, avi, mkv, mov, etc), audio (mp3, amr, wav, etc). Retrieve text contents such as contacts, SMS, Whatsapp messages, documents (Word, Excel, PPT, PDF, HTML, ZIP, RAR, etc) and call logs. Extract data from several scenarios such as broken or damaged Android device, locked screen, virus infected, accidental deletion, SD card issues, OS crash, ROM flashing, etc. Compatible with all Android phones and tablets such as Samsung, LG, HTC, Google, Sony, Xiaomi, Motorola, Lenovo, Oppo, Vivo, Micromax, ZTE, Huawei, OnePlus, Asus, Acer, etc. User friendly interface and easy to use – Connect>Scan>Recover. Data loss has become common these days, as many Android users are encountering with loss or deletion of files from Android devices. People use Android devices to store their valuable files and data such as photos, videos, contacts, whatsapp messages, SMS, apps and much more. But when those valuable data of users gets lost or inaccessible, then they start looking for recovery solutions and hence it is always recommended that you must always backup and restore Android data. However, if you do not have backup, then the implementation of Android Data Recovery software comes useful. 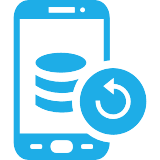 Android Data Recovery is perfectly designed for recovering lost, deleted, inaccessible data from Android smartphones and tablets. It doesn’t matter whatever may be the reasons behind the deletion or loss of files, this data recovery for Android devices is perfect tool to handle such situation and restore data with ease. Recover Several Files: This data recovery software for Android restore deleted or lost photos, videos, audio, contacts, text messages, whatsapp chat history, call logs, documents and more. Offer Selective File Recovery: Once you scan your Android device for lost data, you can then select any file types that you want back and save it on your PC in just one click. Recover Data From Rooted & Unrooted Android Devices: This is the best part about this data recovery tool for Android that works for both rooted and unrooted Android devices. It recover files rooted & unrooted Android without changing anything on it. Preview Recoverable Files For Free: If you have doubt whether your lost or deleted data can be recovered by this software or not, then you can first install trial version of the software and scan your device. After the scan, you check and preview files that are recoverable. It’s completely free. Support More Than 6000 Android Device Models: This Android data recovery program support more than 6000 Android phones and tablets models of Samsung, Xiaomi, Oppo, Vivo, ZTE, Sony, Motorola, OnePlus, Huawei, LG, Google, Micromax, Lenovo, etc. From Where This Data Recovery Tool Recover Android Data? From Internal Memory: This Android Data Recovery software support recovery of files from Android Phone’s internal storage. From SD Card: Also restore files from SD memory card used within the Android Phones and Tablets. From Broken Android Phone: Recover lost or inaccessible data from damaged, screen broken, black screen & broken Android phone. Photos: Recover deleted or lost images (.jpg, .png, .gif, .bmp, .webp, etc), whether you have clicked the photos from the device itself or downloaded from internet. Videos: Recover lost or deleted video files (mp4, mkv, avi, mov, etc) whether you have downloaded it, recorded by device or got from elsewhere, Android Data Recovery software helps you to get back deleted videos, movies or recordings. Contacts: Whether you have saved contacts in phone’s internal memory or SIM card, this Android Data Recovery easily restore – phone numbers, name, email, address, job title, company, etc and all can be restored CSV/VCF/HTML file. Text Messages: All lost or deleted SMS messages, MMS, including attachments like videos, photos can be recovered and all can be exported as CSV/HTML files. Audio: Retrieve all lost or deleted audio files (mp3, amr, wav, m4a, etc) such as call/voice recordings, music files, recorded or downloaded audio files or received from elsewhere. Call History: The details of call logs such as incoming, outgoing , missed or received calls are all recoverable including names, phone numbers, call durations and all these are recoverable in HTML file on your PC for you to read or print them easily. Whatsapp: Retrieve lost or deleted wahatsapp messages, photos, videos, gif images, etc. Recover both individual and group whatsapp chat contents, even without backup. Documents: Lost important documents files saved in Android? This Android Data Recovery extract all lost or deleted documents files such as Word, Excel, PPT, PDF, HTML, ZIP, RAR, etc. Samsung, LG, Xiaomi, Motorola, Sony, HTC, ZTE, Google, Huawei, Micromax, Lenovo, Vivo, Mediacom, Oppo, Pantech, Prestigio, QMobile, Rockchip, Spreadtrum, Spice, Gionee, Lava, Panasonic, TCL, XOLO, Acer, Asus, ALPS, Cherry, Fly, Haier, iBall, INTEX, Karbonn, Coolpad, Nokia, Meizu, OnePlus, Videocon, Swipe, etc. Why Choose Android Data Recovery? 100% Security: It is completely read only program and therefore there is no risk of data leakage. Only you can access your files. Easy to Operate: Comes with user-friendly interface. Simple Connect>Scan>Recover files from Android. Free Upgrade: All customer of this Android data recovery software can upgrade it for free in future. Customer service also included. Guarantee: All users, from any corner of the world can try trial version of this software for 30 day for free. How Can I Recover Lost or Deleted Data From OnePlus 6T?